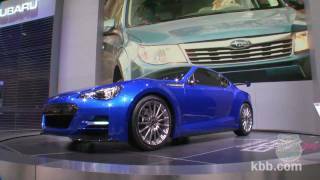 At the Los Angeles Auto Show the American Subaru revealed its all new BRZ concept-STI 2011. 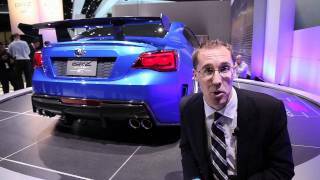 The model no doubt is another step to production of lightweight performance oriented sports cars, bringing with it refinements from the flag holders like STI. 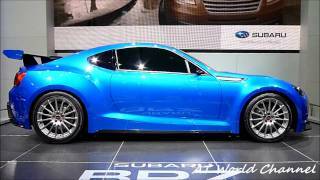 The model has a sporting profile and beneath the hood expected is a powerful engine complying with its looks. But let us not jump to a conclusion and have a closer look at its performance and the body art. 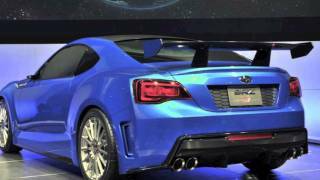 Nothing has been shared by the company in the interior segment of Subaru BRZ Concept-STI 2011 but yes turning the pages car lovers can be sure to have sportier, comfortable and spacious interior with best features. Some of the basic expectations hold the fine leather work with well oriented instrument panel and yes the Steering to hold major operational controls over it. We accept that these are just the perceptions looking at the companies involved in the making of model and no such claim has been made by any of the official or representative. 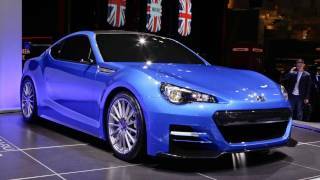 The performance dedicated exterior of Subaru BRZ Concept-STI 2011 has been shared upon its launch. The first thing no notice is its gleaming Hexagonal front grille. Further follows the Hawk eye shaped headlights, fog lamps and lower front spoiler beneath a carbon-fiber roof. The feature lowers down the center of gravity of model and we would here like to mention that the previous record too is in the lap of company. Moving towards the rear the first thing knocking doors of your eye are the fender flares and rear diffuser, which we believe is good in size. This entire setup gets sportier with its WR Blue Pearl II paint finish. By the end the entire body has been kept on reliable 18” wheels, assuring you a better grip at high speeds. The wheelbase will be 101.2 in while the tire size has been revealed to be 215/45R18 (Front) and 225/45R18 (Rear).